Do you want to set a software installed on your computer to start automatically when your PC boots up? If you use an application installed on your PC often, it is better to set that application starts automatically. I have a Samsung netbook which I use for browsing. So it makes sense to enable auto start for Google Chrome and Firefox, my favorite browsers. To convert a normal software to start automatically on a computer, we must add it to Windows StartUp. All the programs and tools listed in StartUp run automatically when the computer boots. This tutorial explains how to enable auto-start on selected applications installed on your laptop. The second part of this guide explains how to delete a program from StartUp if you no longer want that application start with booting. I think it is better to explain this concept with a practical example. I am going to set the Google Chrome to run automatically on Windows boot. You can follow the same procedure to convert any application into an auto-run mode. Now the Google Chrome is added to Windows StartUp. It means, whenever your computer boots, Google Chrome too will start automatically. By following the same steps, you can add any programs on your computer to Windows StartUp and convert them autostarting applications. Now it is the time to learn about Windows runtime errors. To learn more about runtime error click on the link below. Sometimes you may need to remove certain applications from this list. It is because having so many applications in that folder may reduce your system bootup speed and efficiency. 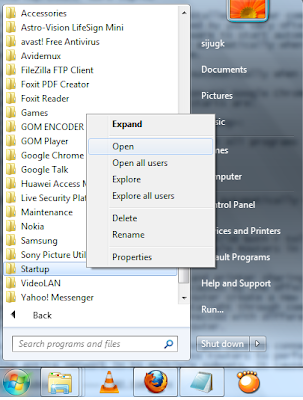 We can remove any programs from appearing in system bootup menu by removing them from msconfig window. The unchecked programs will not appear in that folder again. After unchecking the applications, while saving it, you may need to restart your computer. Adding more programs and tools into the startUp folder may cause more time to boot your computer. Though it affects the booting time, you can access the tool you want right after Windows on because those tools have started automatically. If you have issues with automatic rebooting, the below link may help you to fix it.